Typical for Glasgow, this church was surrounded by a later Square. A Tobacco Lord’s House was built here in 1778. 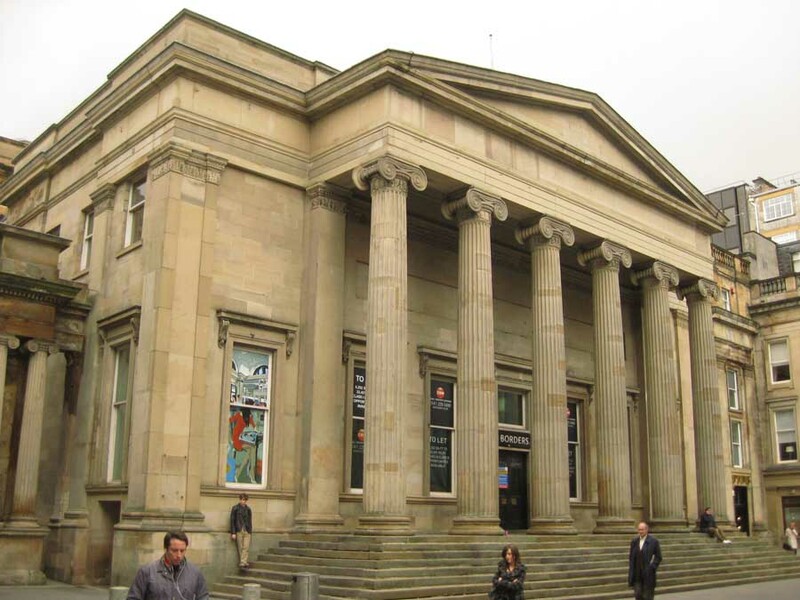 The Royal Bank commissioned Archibald Elliot II in 1827 to design a bank, shops and offices. 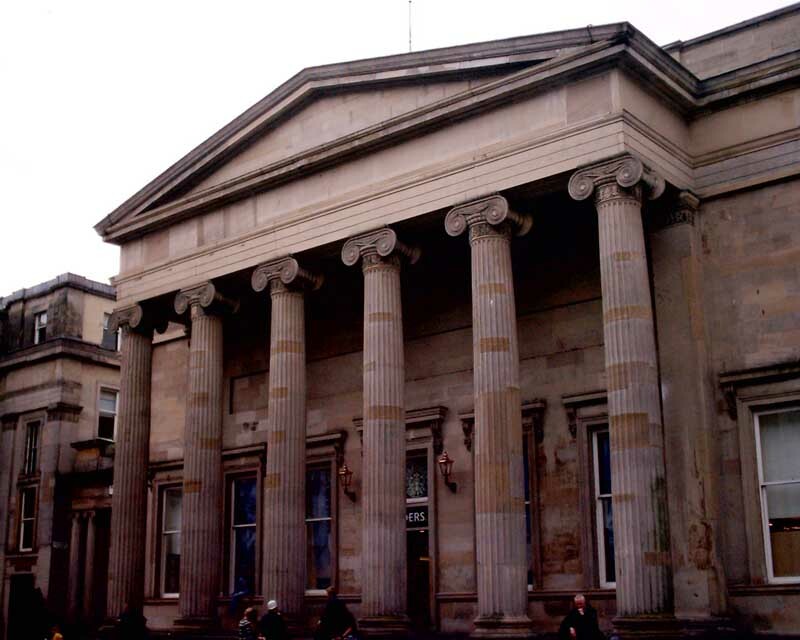 The terrace on the north side is by David Hamilton & James Smith – architect of the McLellan Galleries – in 1830-39. 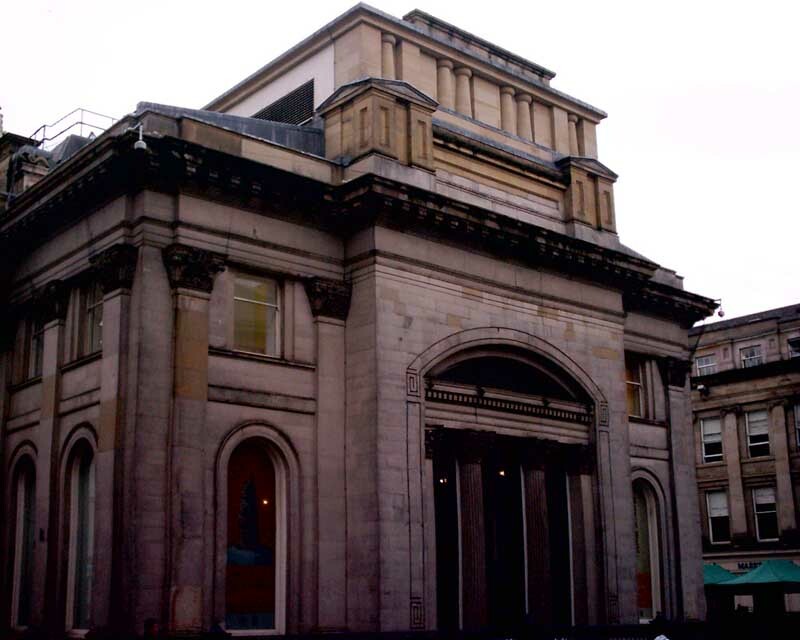 The Royal Exchange is now goma – Gallery of Modern Art – but was designed by David Hamilton in 1827. The building has an unusual ‘wedding cake’ cylindrical cupola atop facing east into the Merchant City. 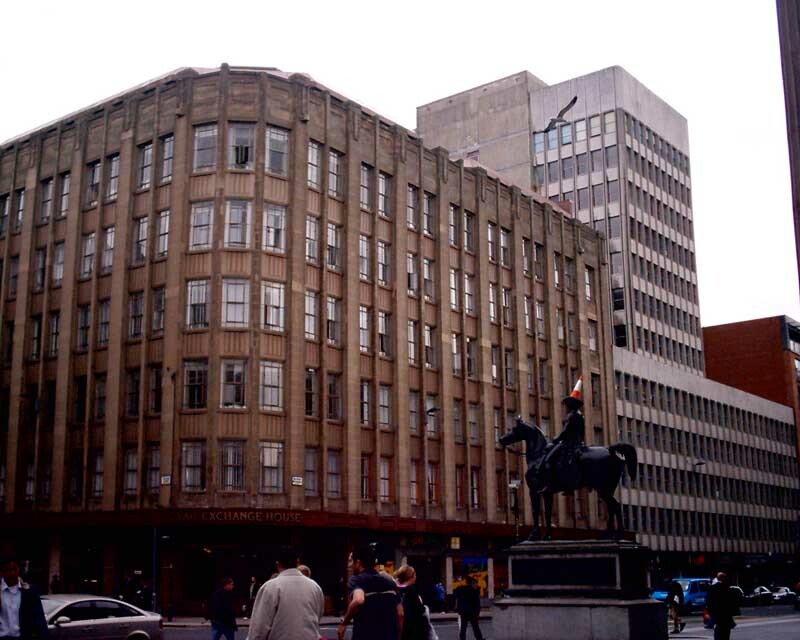 The statue of Wellington on his horse facing Ingram St dates from 1844. 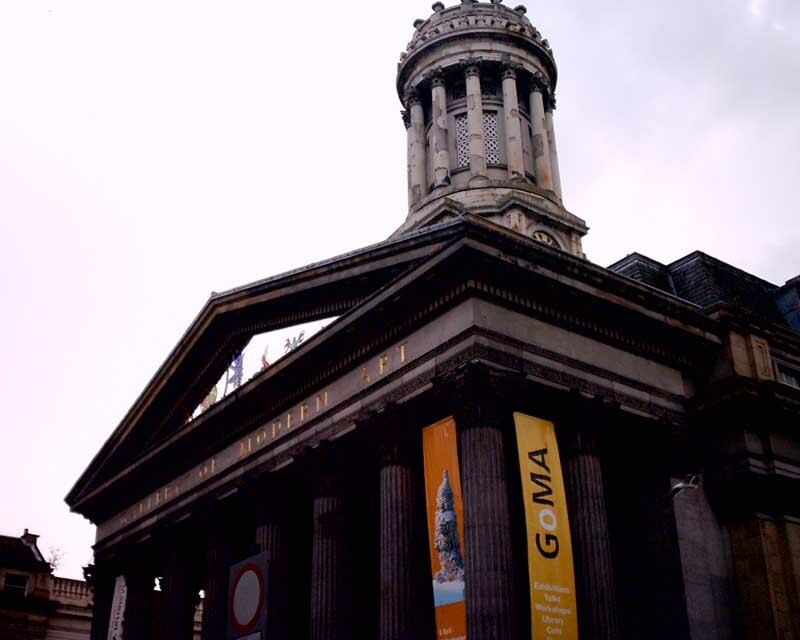 GoMA is the second most visited contemporary art gallery outside London, offering temporary exhibitions and workshops. 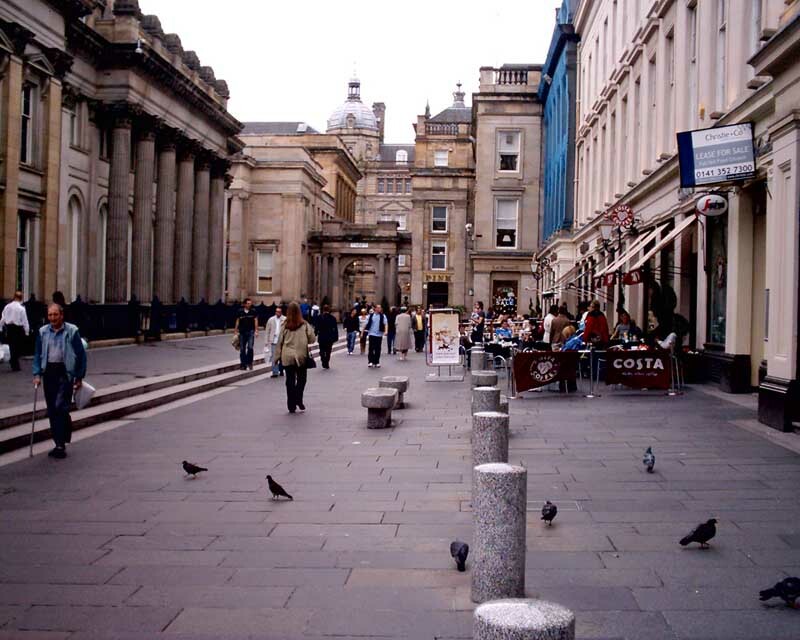 Glasgow Gallery of Modern Art displays work by local and international artists. 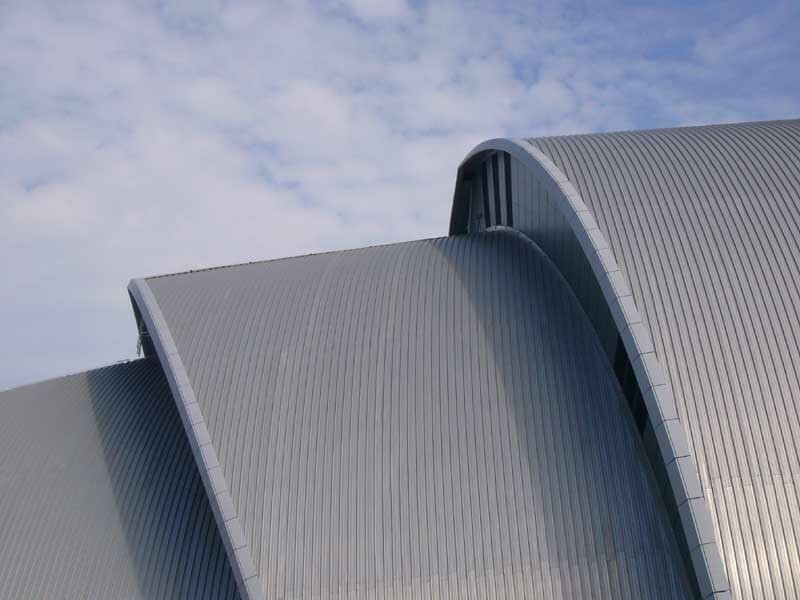 Opened in 1996, GoMA is housed in a neo-classical building refurbished to house the city’s contemporary art collection. The rooftop café is now a dedicated Education and Access studio, facilitating workshops and artists talks. In the basement is the Learning Library at GoMA complete with café, free Internet access, multimedia, art, and book-lending facilities.